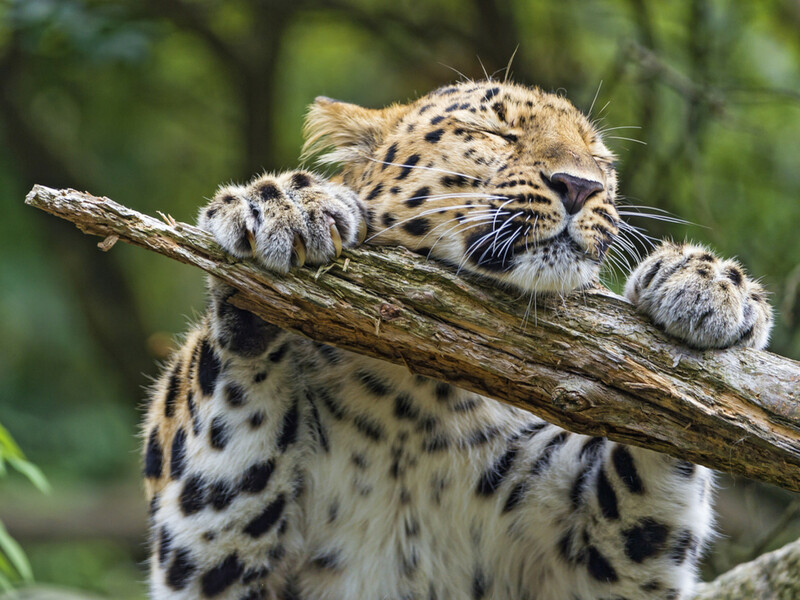 You might have heard from someone that exotic pets or so-called "wild animals" are illegal to own as pets, but this is exactly like saying it is illegal to hunt animals—it's not exactly true. We know, of course, that it depends on which animal you are talking about (and when). Some animals require specific permits to hunt, and these rules vary by each state. 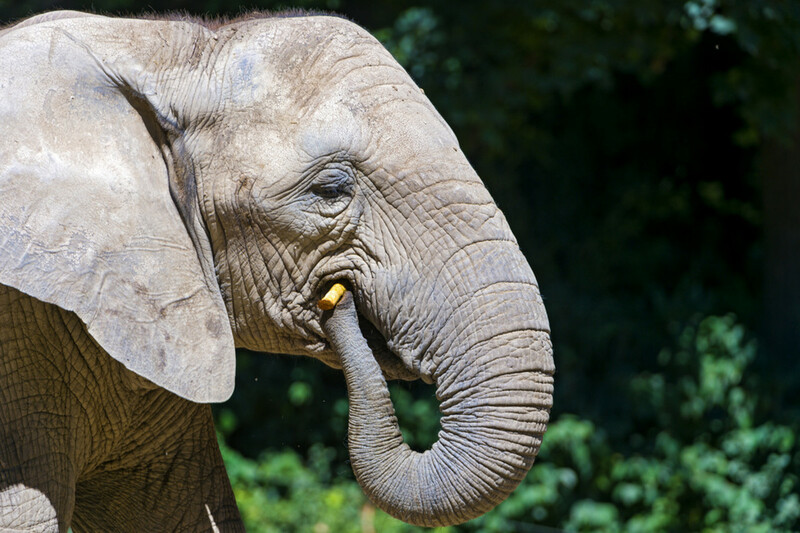 Exotic animal laws are similar in that you might need a license to own them and that the rules vary from state to state. The fact is that no one state technically bans all animals that fall under the exotic or even "wild" designation. With the exception of Hawaii, a group of small islands that has an exceptionally fragile ecosystem, all states allow a high number of reptiles and birds. But when most people assume "exotic" pets are illegal, they are often thinking about mammals, and that’s when the restrictions begin to pour in. While some of these animals are banned for silly reasons (I'm looking at you and your stance on ferrets, California), some of these animals are banned for good reasons: amateur pet owners don't have the experience to properly care for these undomesticated animals. Finding a vet who can treat a rabbit can be hard enough. 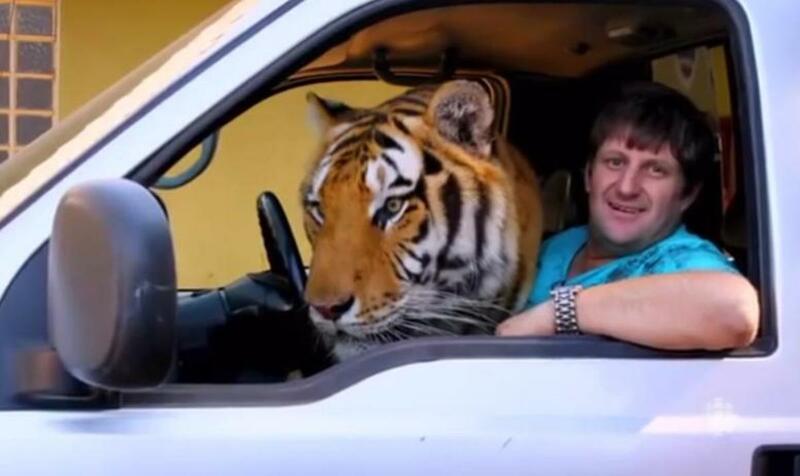 Can you imagine finding one who can treat a tiger? There are numerous—and rather ridiculous—bans on exotic mammals as pets in most states. All states prohibit the ownership of something, whether it’s a restriction on native species or exotics. Still, there are some species you’d be surprised that are still legal even if you think your state bans exotic animals, which is often stated by groups like The Humane Society of the United States or Born Free. What is one of the more interesting species you can privately own in your state? For the purposes of this article, the term "exotic" shall refer to anything unusual, such as an animal you won't find in traditional pet stores or farms, not non-native animals. Note: The point of this article is to list at least one interesting pet that is legal in each state; therefore, the list is far from comprehensive ,and laws change all the time. This article should not be used as a source to determine what pet is legal in your state. Laws vary based on city and county ordinances as well. So you'll want to do your own independent research. 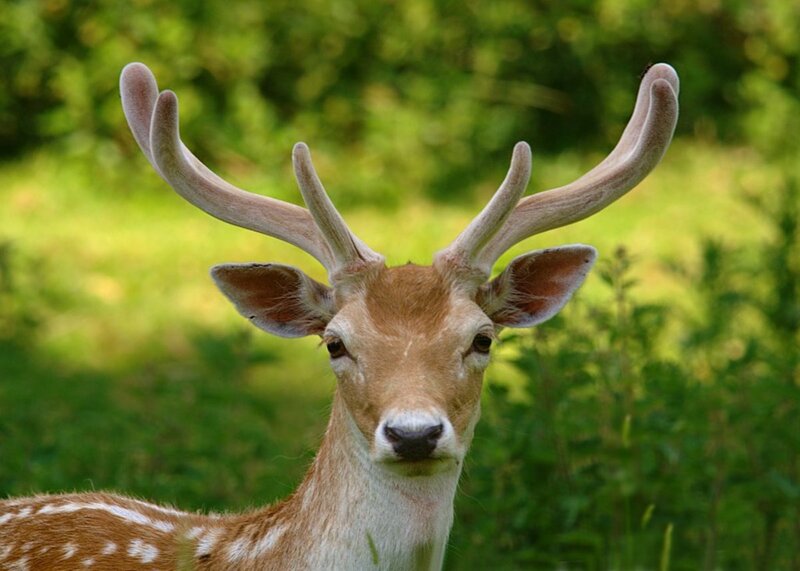 In Alabama, you cannot possess any member of Cervidae (deer). You also can't have foxes, raccoons, or skunks—but you can own big cats like tigers. Just be sure not to cross state lines with the animal or to import one from another state, as the Federal Endangered Species Act forbids it. Alabama is one of four states (along with Nevada, North Carolina, and Wisconsin) that doesn't have laws regulating wild cats. Tigers usually live about 26 years in captivity and the wild. Tigers are obligate carnivores (meaning they cannot survive on plant matter). They need about 15 pounds of meat per day to sustain themselves. They're dangerous and can kill you. 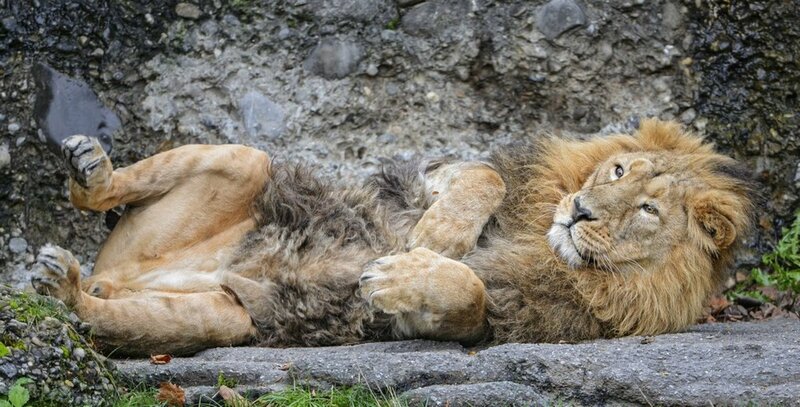 Though they might look cute and be cuddly for a time, they're apex predators, and they're not domesticated. So you'd be taking a big risk by trying to have one as a pet. Very surprisingly, while Alaska had laws banning non-human primates there was an exemption for chimpanzees, the most difficult and dangerous primate to own of all. But that changed in 2010. 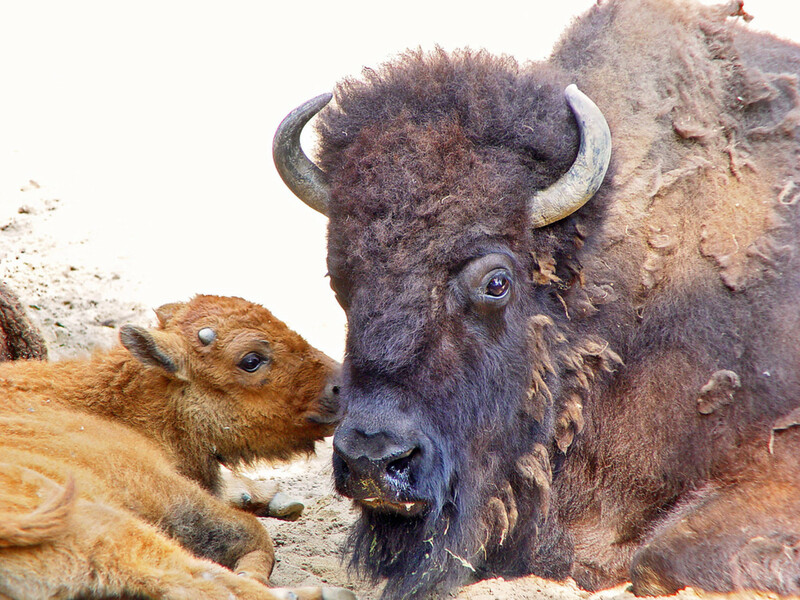 Now the state has some of the strictest bans on animals in the U.S. Now only toucans, "non-feral" ungulates like bison, elk, camels, reindeer, and oxen, and hedgehogs are the most 'exotic' animals that remain legal. The legal animals are listed, and all others are prohibited. The Alaska state legislature kindly expounds on which animals you can and can't own. You'll notice that 5 AAC 92.029. Permit section c specifically disallows chimps. Fortunately, you can still own a reindeer (as long as it isn't wild), a single-humped camel, a toucan, or an elk—and you don't even need a permit for these! The state bans many, many animals as pets as per R12-4-406 Restricted Live Wildlife of the state's administrative code, including but certainly not limited to chipmunks (all squirrels), prairie dogs, deer, foxes, sloths, opossums, bats, nonhuman primates, and anteaters. Surprisingly, it allows wolfdogs (also known as "wolf hybrids") while prohibiting all other animals other than dogs and cats in the carnivora order. Although it sounds like a wolfdog might be "partially domesticated," a true wolfdog would be indistinguishable to the average person from a "pure wolf." 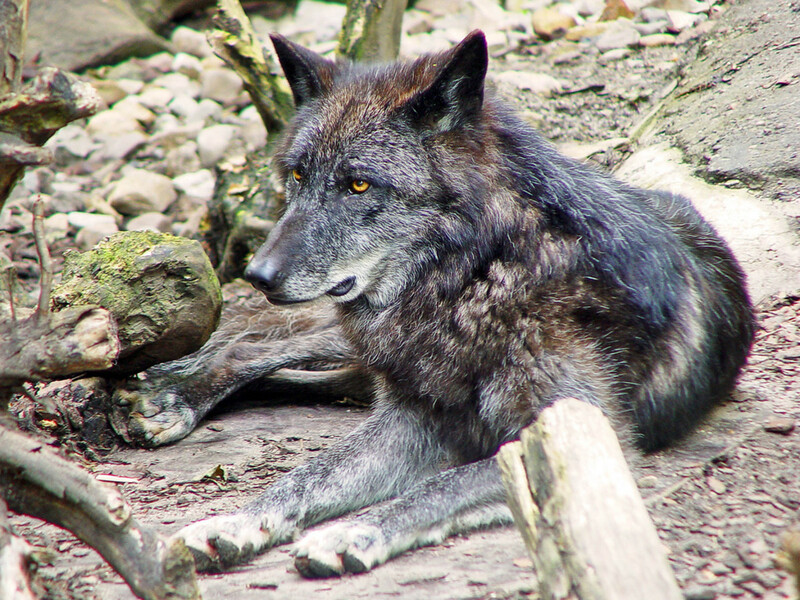 In fact, many zoos exhibit these wolfdogs as "wolves." Therefore, to a non-expert, these animals are essentially wolves, and they are definitely not less dangerous than "pure" wolves (if anything, they're perhaps more dangerous than purebreds). 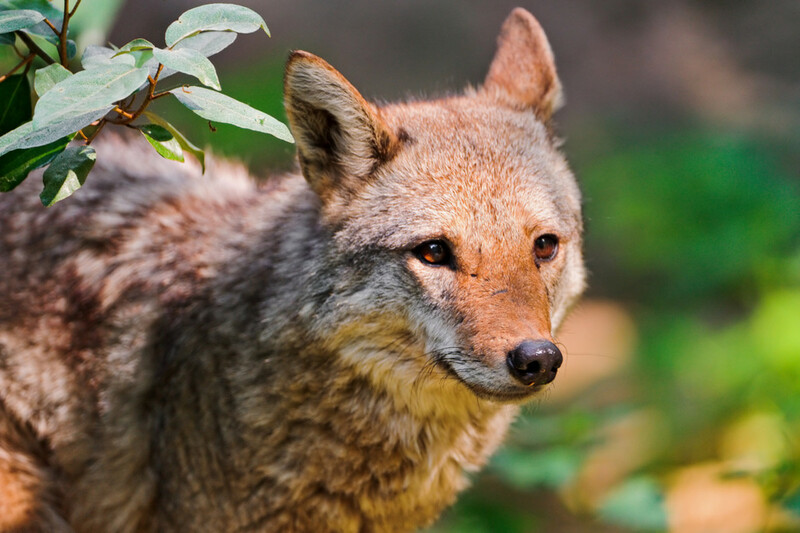 If you want to own pets that are native to your state, pack your bags and move to Arkansas where you can own native animals such as bobcats, foxes, raccoons, and coyotes. (Yet you can't own an alligator...) However, only six of these animals per household is allowed (Section 15.41). And you cannot buy or import foxes, they must be rescued from the wild or given to you. Exotic pet owners dread this state because it has some of the strictest exotic animals laws out there. This is a state that bans ferrets under the guise of protecting the environment—even though its inhabitants regularly defy the law, and invasive ferrets have not been observed. Don’t come to California unless you’re only interested in birds and reptiles. But surprisingly, while many states prohibit them, all generations of Savannah cats (a domesticated cat and serval hybrid) and wolfdogs that are not first generation are allowed. This is another frowny-face state if you are an exotic enthusiast. 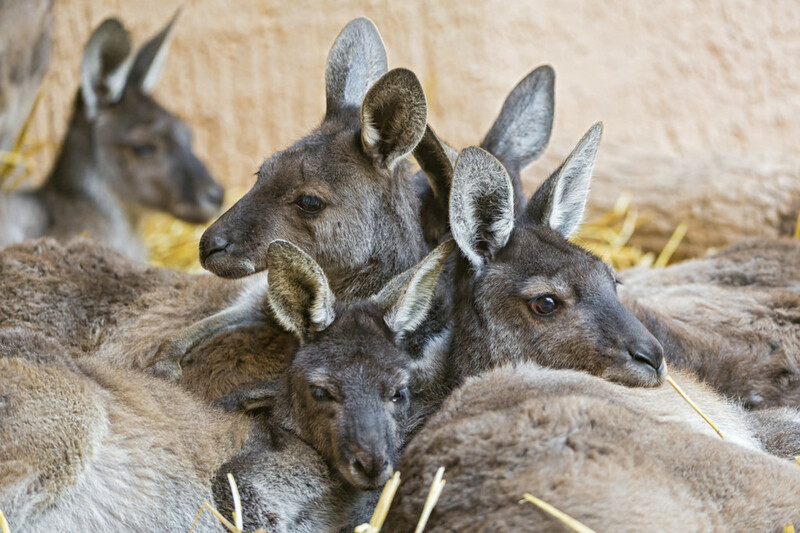 Colorado is a good example of a state where exotics are supposedly not allowed, but you can still keep very exotic animals like the iconic kangaroo, wallaroo, or wallaby. 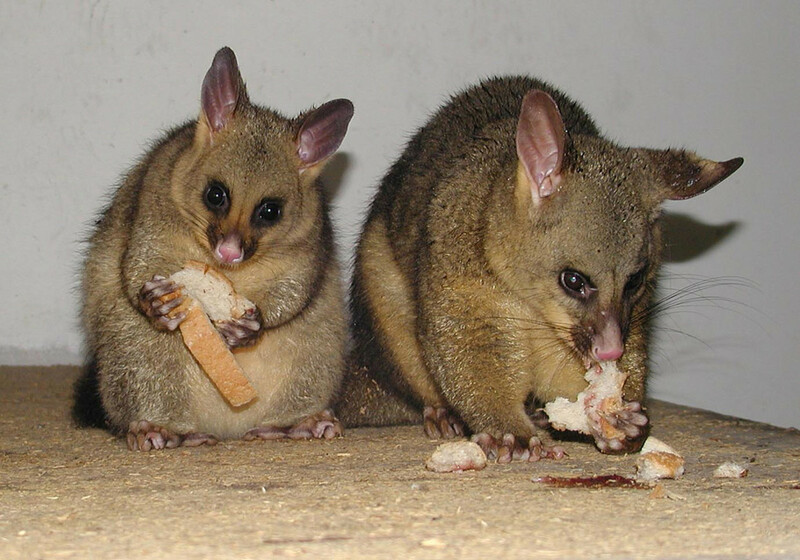 You can also own a possum, a sugar glider, and a hedgehog if you like. 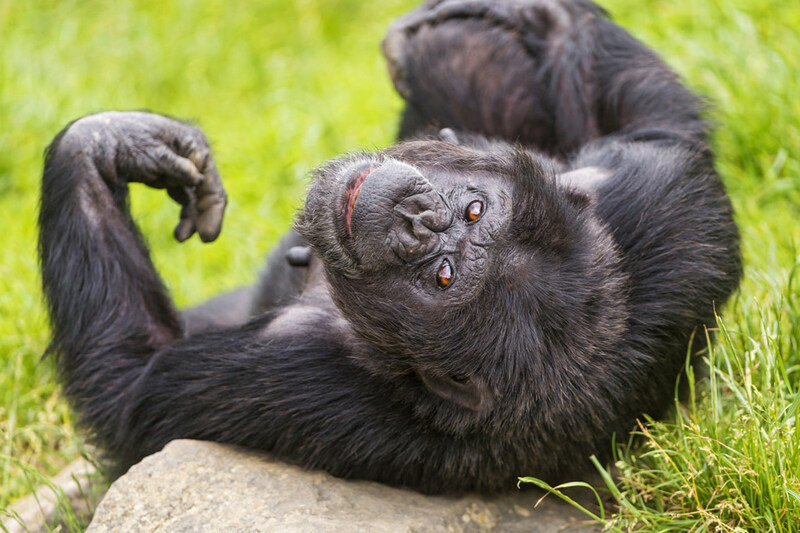 There was a famous exotic-pet-related incident where a chimpanzee name Travis severely mauled his caretaker’s friend, but that animal was grandfathered in, as primates acquired before October 1st, 2010 are considered okay. "The Hominidae, including, but not limited to, the gorilla, chimpanzee and orangutan" are currently banned (26-40a.4). Connecticut’s bans are also extensive and ridiculous. Getting an exemption as a licensed exhibitor or educational facility is difficult. Almost all interesting exotic pets are banned, including hybrids such as a wolfdog or a savannah cat. Though the text is perhaps ambiguous, Connecticut's state code says that people cannot own more than one of the following without a game breeder's license (which implies that you can own one of these legally): a partridge (pear tree optional), an otter, a beaver, or a raccoon. 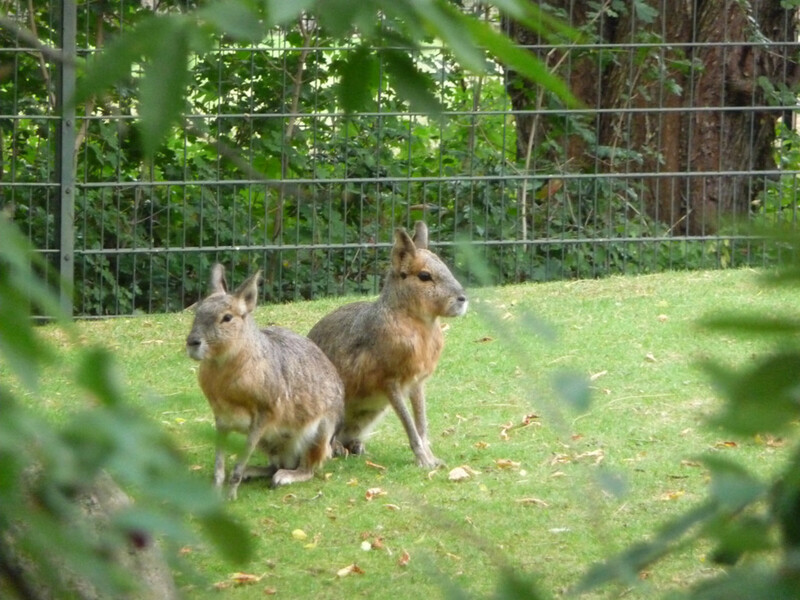 Patagonian mara are large rodents that look like deer. Any animal not native to Delaware needs a permit (State Code 721). The state veterinarian gets to decide if such a permit will be issued based on the species' potential to be injurious or damaging to the environment. Exempted species are "Chinchillas, Degus, Ferrets, Gerbils, Guinea pigs, Hamsters, Hedgehogs, Mice, Norway rats, Possums, Rabbits and Sugar gliders" (6.1.1). In Florida, animals are grouped by class 1, class 2, and class 3 designations, with class 1 animals requiring the most qualifications to acquire. 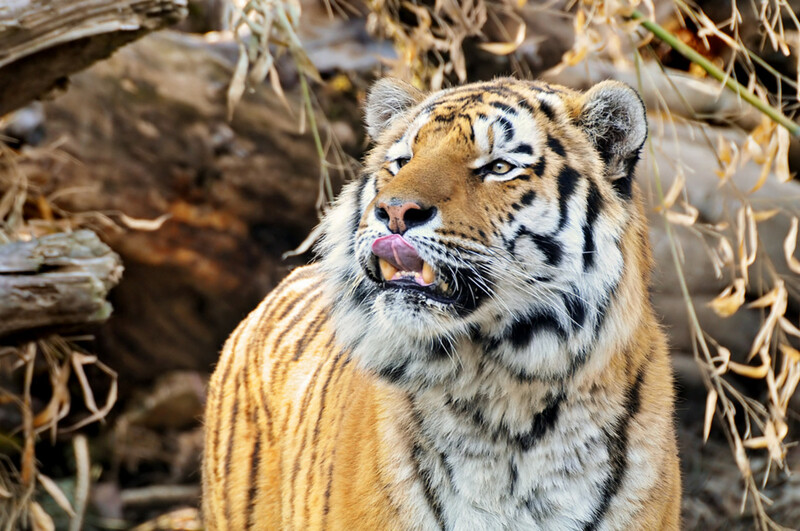 Class 1 includes tigers, bears, and chimpanzees—and they cannot be "pets." 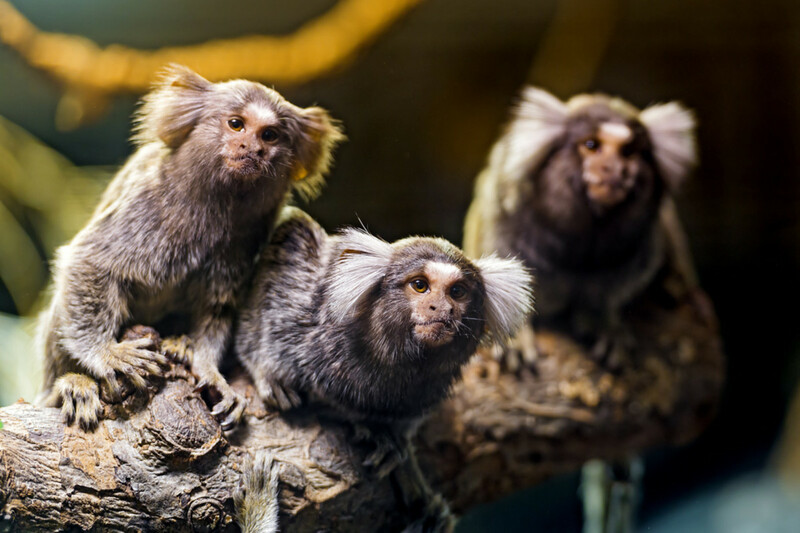 Marmosets are tiny monkeys that are class 3 wildlife, and a permit to own them in Florida is pretty easy to get. All you have to do is answer some questions on the free application about the animal’s care, what you would do in event of an emergency, and your knowledge of the species. Before you commit to owning a marmoset though, you should know that they're really needy and require a lot of attention. They're not a good "just leave it be" pet. Georgia considers nearly every exotic animal to be "inherently dangerous" regardless of whether or not that is actually true. For instance, wallabies and non-domesticated rabbits are on the list that require a permit, and it's not clear if this permit is obtainable by your average pet owner. However, in the order Artiodactyla (even-toed ungulates), bison (which actually are dangerous), water buffalo, and llamas are exempted, probably because they are seen as livestock. You can also, with a permit, own an alligator, a crocodile, various primates, and even bears—all of which are rather dangerous! 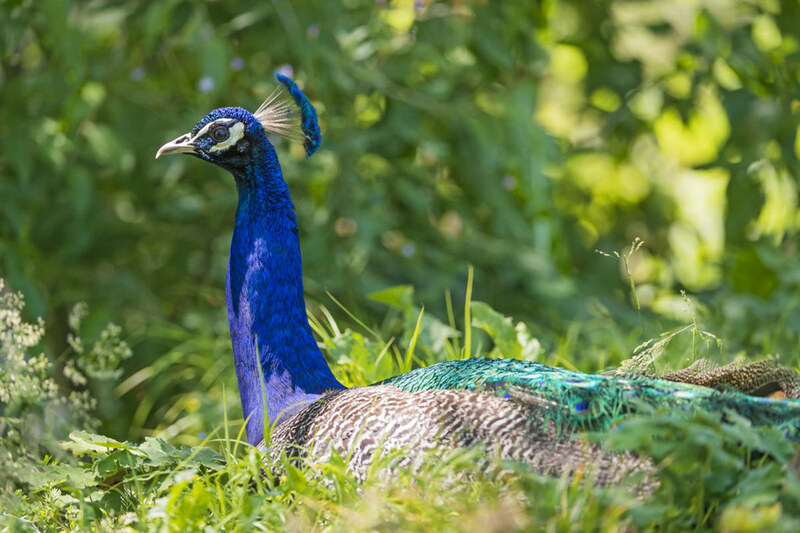 Only several birds and aquarium-dwelling species are legal exotic pets in this unique state, with peafowl (a.k.a peacocks and peahens) being considered poultry. The list of mammals legal to import into the islands consists of guinea pigs, chinchillas, rabbits, mice and rats. No hamsters, snakes, ferrets, and gerbils are allowed. The reason? These animals have the potential to become an out-of-control invasive species in the island’s climate, just like the always-legal domesticated cat that people are even permitted to let free roam. When it comes to banning pets due to environmental concerns, an animal’s popularity can cancel out any level of damage said species causes. In Idaho, wildlife is defined as any animal generally living in a state of nature except, domestic bison, domestic cervidae, domestic fur bearing animals, and fish. So if you follow importation rules, you can own elk, fallow deer, and reindeer. Most other exotics require a possession permit, and it isn’t clear how easy this is to get. 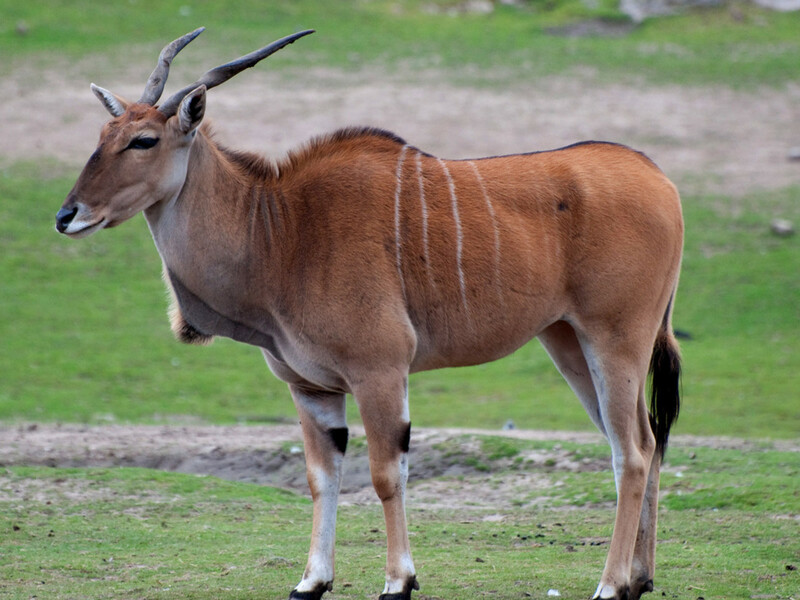 All cervidae appears to be legal to possess in Illinois with only entry permits and health screening required to import them into the state, as they are considered livestock. It seems as though the (720 ILCS 585/) Illinois Dangerous Animals Act, which detailed animal-owning criminal offenses, was repealed by P.A. 97-1108. So, what you can and can't own there (or, at least, what you'll get in trouble for owning) is a bit more muddled. Class I: These animals aren't harmful to people. Examples include rabbits and squirrels. Class II: These animals might be harmful to people. Examples include raccoons, pallas cats (Google these adorable creatures if you don't know what they are), skunks, and more. Class III: These animals are definitely dangerous. Examples include purebred wolves, bears, and crocodiles. Hybrids of domestic dogs and cats don't require permits. So if you want a bear, you're going to have to get a permit. The usual suspects are all unreasonably banned in this state without a permit. To acquire such a permit, many rules apply, such as implanting a tracking device, maintaining insurance, paying fees (usually between $50-100), and undergoing inspections. 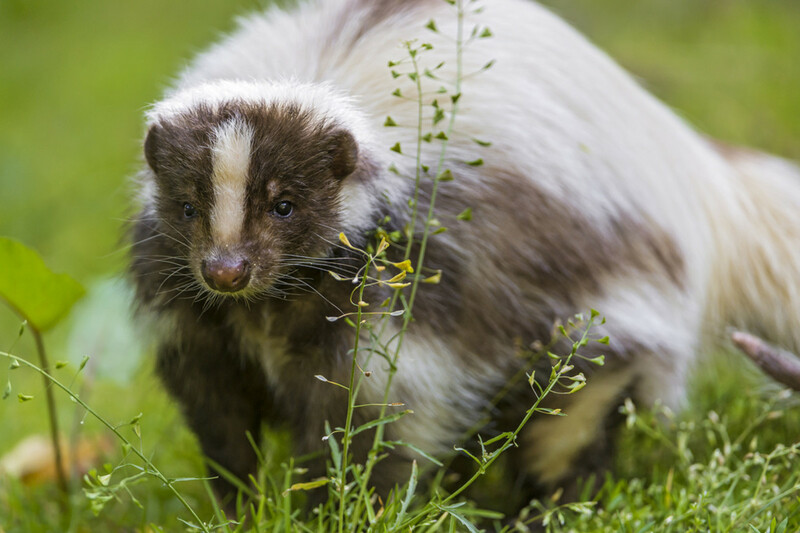 However, skunks are legal as long as they are captive bred. Skunkhaven advises that you save your receipt to prove that your skunk isn't wild caught. 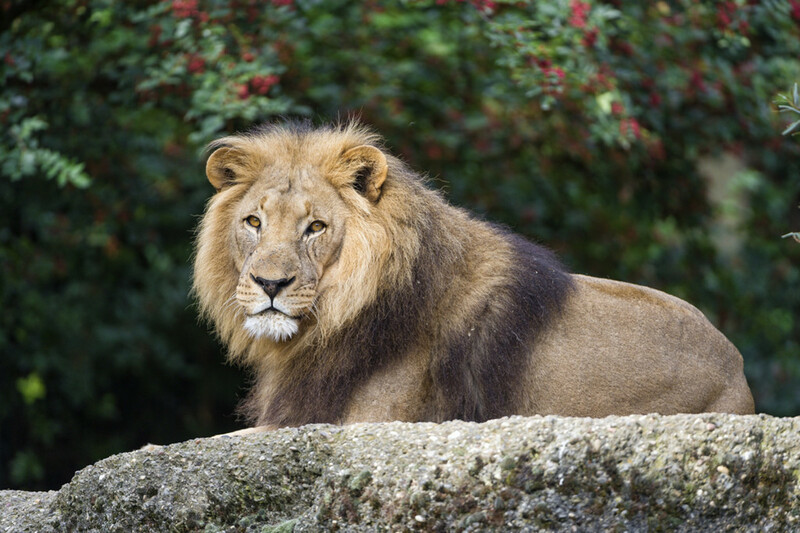 Iowa says that dangerous animals include lions, tigers, or bears. You're unlikely to get a permit to own them as an everyday person. 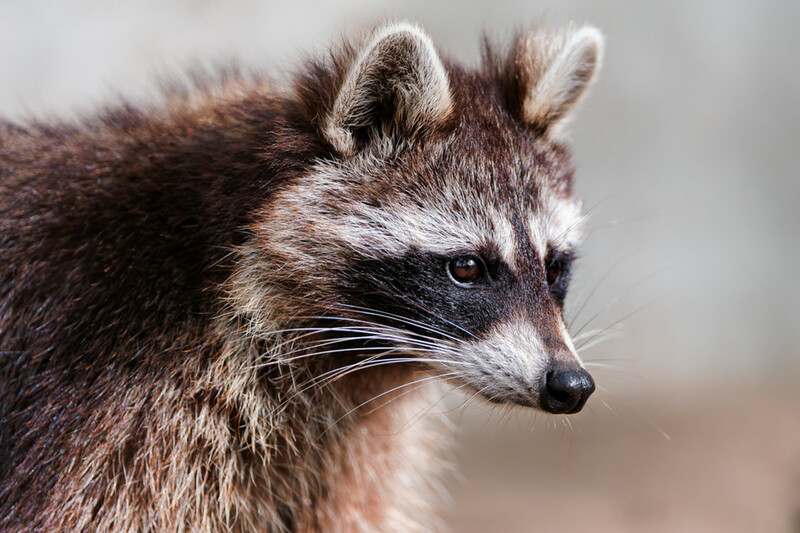 While dangerous wild animals are regulated, but there is no mention of this unusual relative of the raccoon, which often slips through the cracks due to being unknown. Raccoons are illegal in most states because they are rabies vectors, but Kentucky is one of the exceptions. However, raccoons cannot be imported over state lines, so the animal must come from within the state. This state, like most, bans large carnivores and the list can be found in section 76 of Louisiana's administrative code. It includes wolves, bears, and specific exotic felines as well as primates. The family viverridae is not listed, so this might technically mean civets and genets are legal. Genets are small mammals that have a fox-like nose and face, with a car-like body and a lemur-like tail. 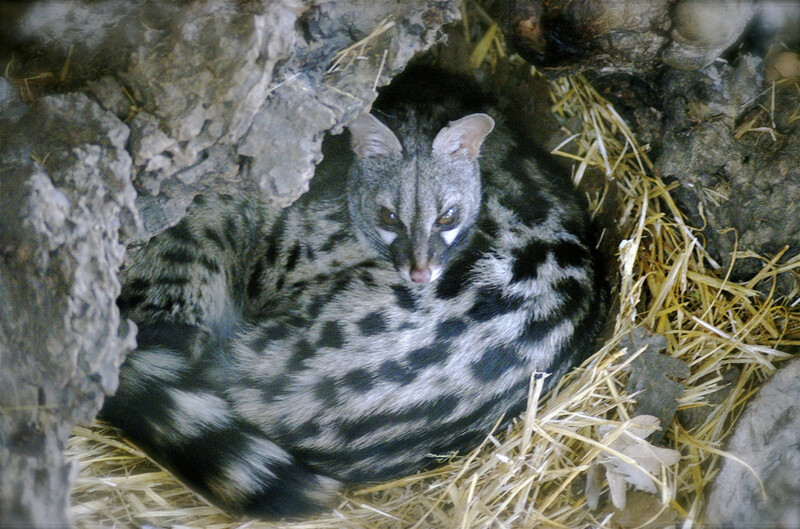 Genets are opportunistic eaters that don't particularly care for being held or smothered with affection, though they will bond with an owner in a single-animal household. Maine is a horrendous state for exotic pet owners, and the restrictions on pets are as extreme as they are indefensible. This northernmost state on the mainland boasts a climate that very few animals could survive in, yet it has a very small list of mammals (gerbils, hamsters, rabbits, mice, rats, guniae pigs, chinchillas, ferrets, sugar gliders, degus) that do not require a permit. Achieving a permit in Maine is said to be near impossible. Reptiles are confined to select species as well. As of 2018, almost the entirety of Title 12, Chapter 707: LICENSES AND PERMITS, which was where Maine defined what you could and couldn't get permits for, has been repealed. Because they've been repealed, the original text of the laws is no longer accessible on their website. 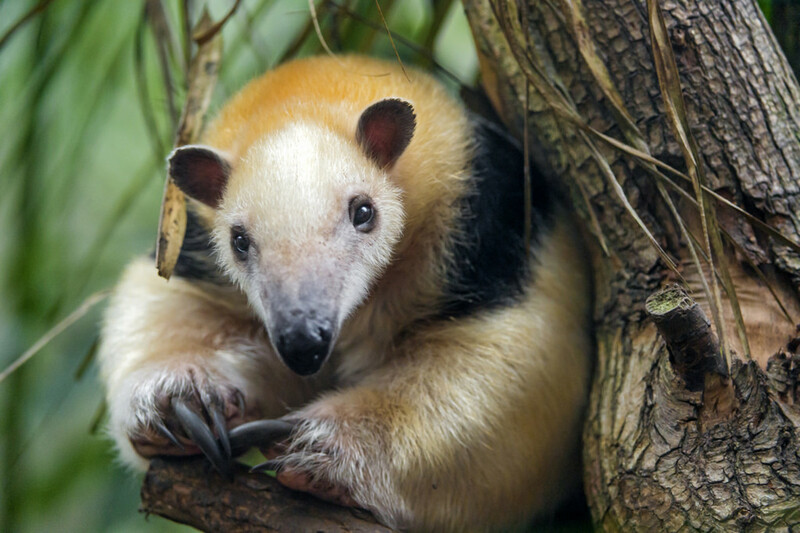 This South American anteater is not listed on Maryland's highly inclusive list of banned animals, which includes raccoons, foxes, skunks, primates, felines other than domesticated cats, and alligators. It's easier to talk about what pets you can have in Massachusetts because the list of animals that you can't have is very long. 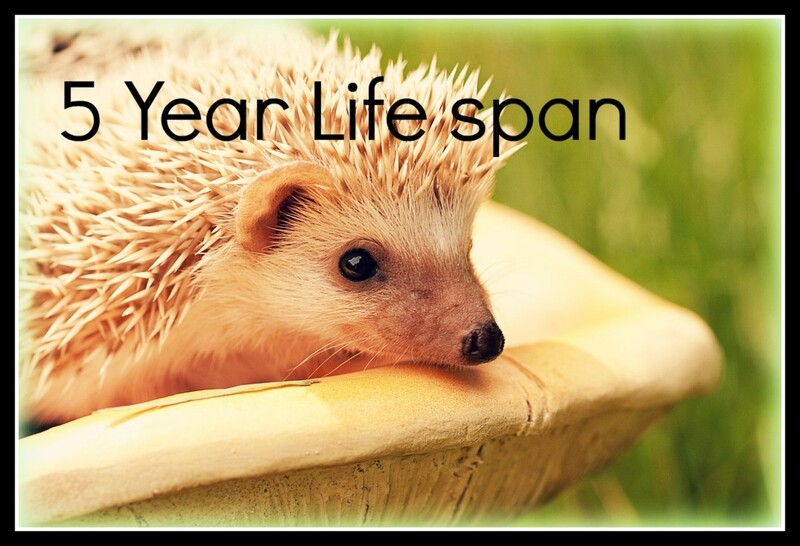 The exemptions include the most typical pets but also hedgehogs and flying squirrels. 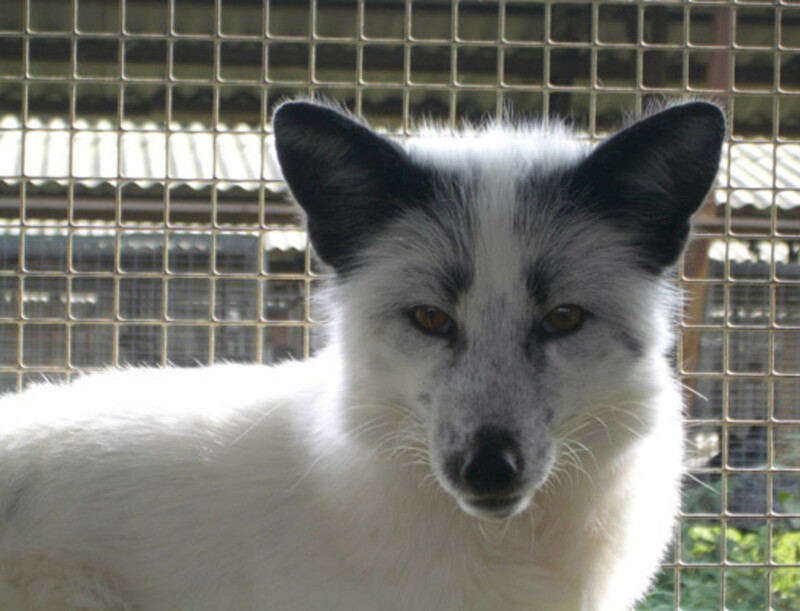 Many are unaware that fur-farm foxes are considered domesticated; however, they're not domesticated in the way that Russian domesticated foxes have been experimentally bred as house pets. 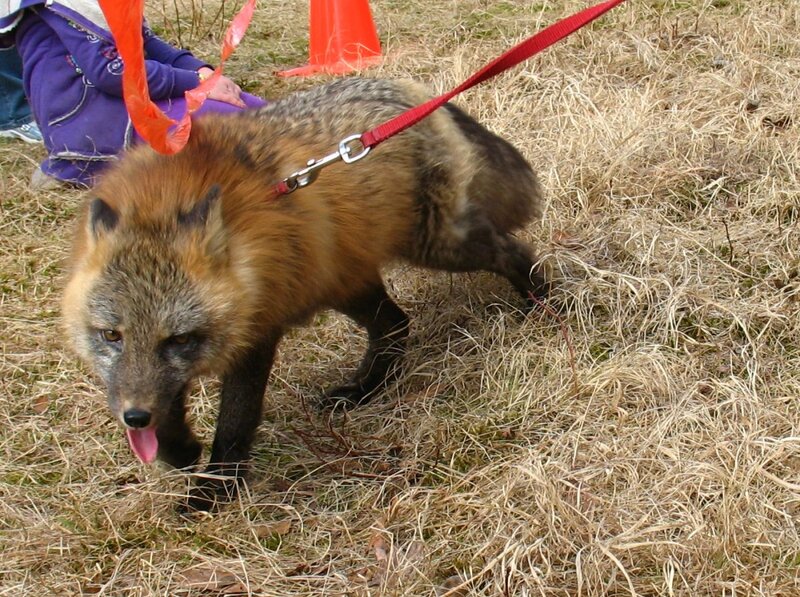 "Wild" foxes are not legal, but domesticated foxes in Michigan are legal as long as you obtain a health certificate. Prohibited animals appear to be exclusively defined as primates, non-domesticated felines including hybrids, and bears. Rabies-vector laws or native animal prohibitions may possibly restrict skunks, raccoons, and foxes. Exotic rodents, however, should be legal under these rules. 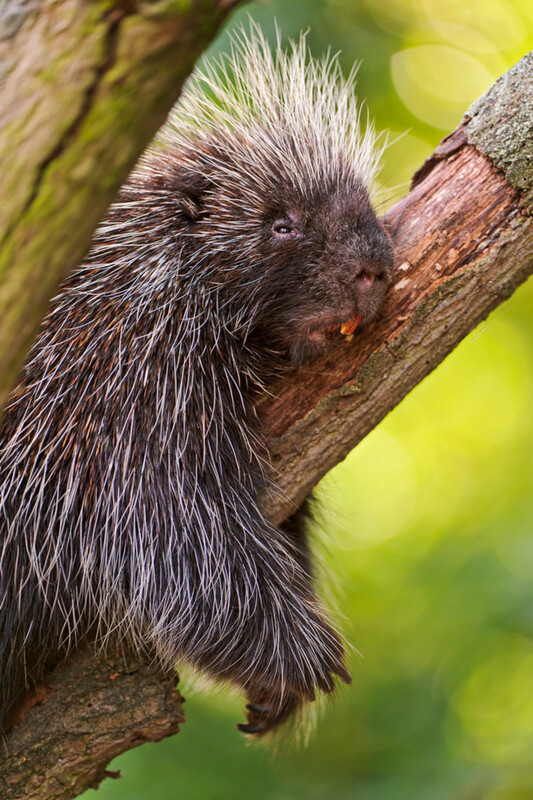 And porcupines are classified as rodents. There are mixed reviews about how they are as pets. Some people really like them, others wouldn't have another as a pet. 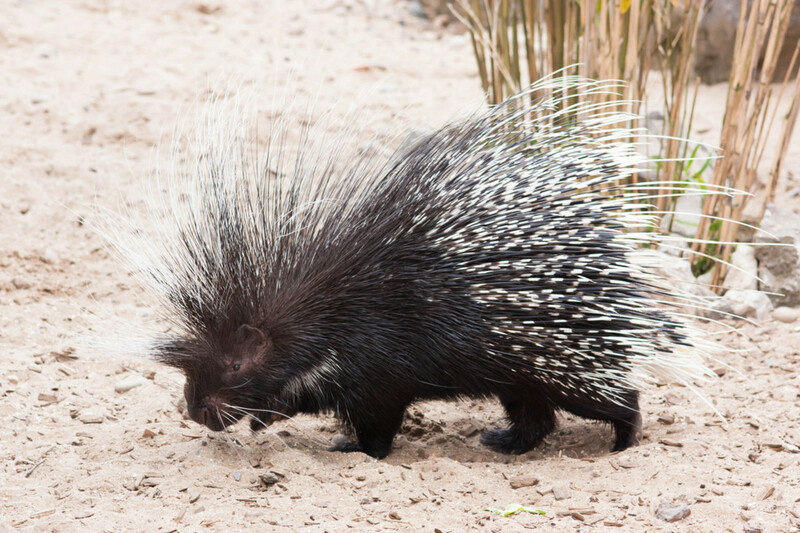 Fun fact: a baby porcupine is called a "porcupette." Inherently dangerous members from the family felidae are defined as big cats, snow leopards, cheetah, and cougars. This does not include felines like servals, caracals, and jungle cats. All you need to do is obtain a Wildlife Hobby Permit. That (and Missouri's admin code) authorizes you to hold no more than one red or grey fox, coyote, beaver, river otter, Eastern grey squirrel, bobcat, badger, or opossum for personal use. Montana has three categorizations: uncontrolled species, controlled species that require a permit, and prohibited species. Strangely enough, uncontrolled species that can be traded and possessed freely with no permit include pygmy hedgehogs, degus, jungle cats, servals, sugar gliders, two-toed sloths, Bennet's and Tammar wallabies. This state specifically allows genets, elands, elk, fox, jerboa, and reindeer to be imported, but you can only have one. Nevada bans some aquatic species, all foxes, some other native species, and some reptiles. Everything else goes! Wolves, big cats, primates, elephants, ect. The state, home of Siegfried and Roy, has a large animal entertainment industry with many private owners as well as a reluctance against governmental overreach, and this might be the reason these laws have survived for so long. 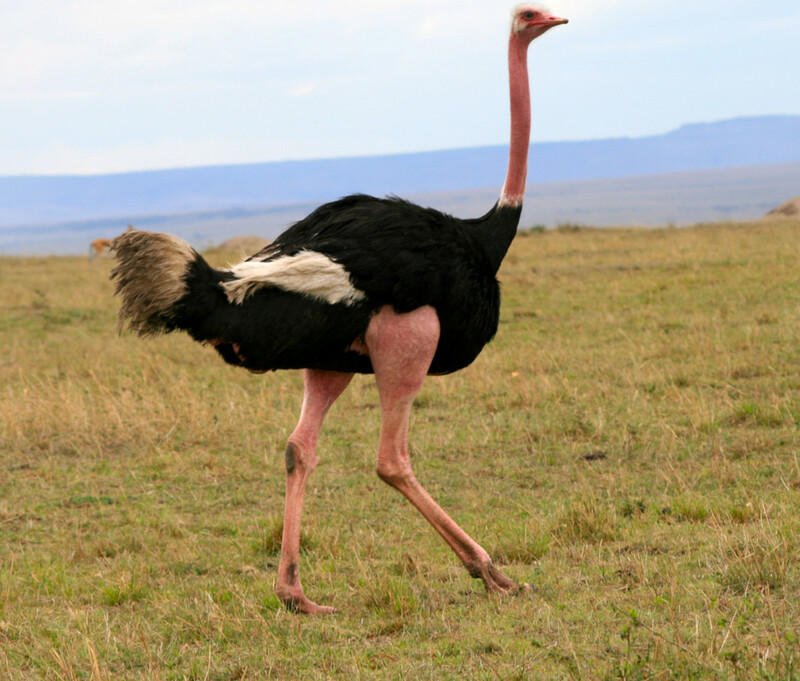 This large African bird is on the non-controlled species list in New Hampshire. They can grow up to nine feet tall, usually weigh around 400 pounds, and are known to be aggressive and territorial. They're not for the faint of heart. 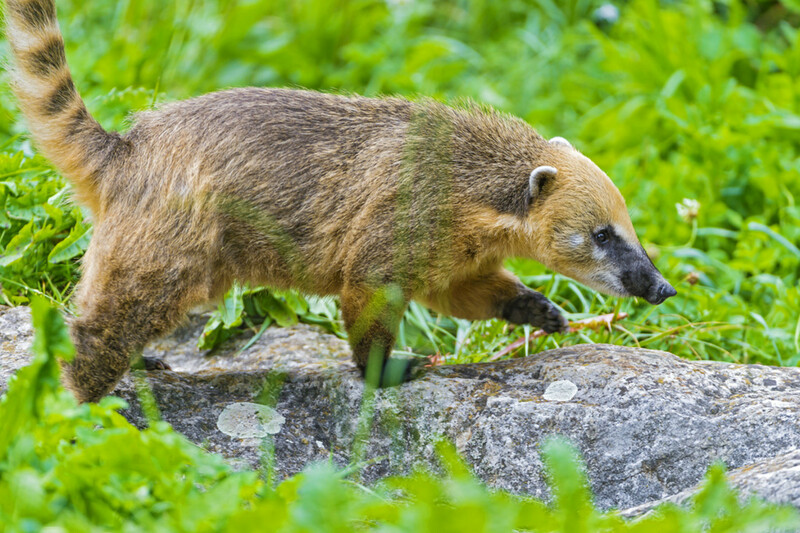 The state lists many species as controlled including genets, wallabies, and anteaters. It is highly unusual for a state in the northeast, but raccoons and skunks, both prominent rabies vectors, are legal if they are purchased from a licensed breeder and if you obtain a captive game permit. I can only confirm that it is unlawful for a person to possess non-domesticated felines, primates, crocodiles, alligators, and wolves in New Mexico (19.35.7). The state may allow other animals under difficult conditions. One source states that deer are legal without a permit. 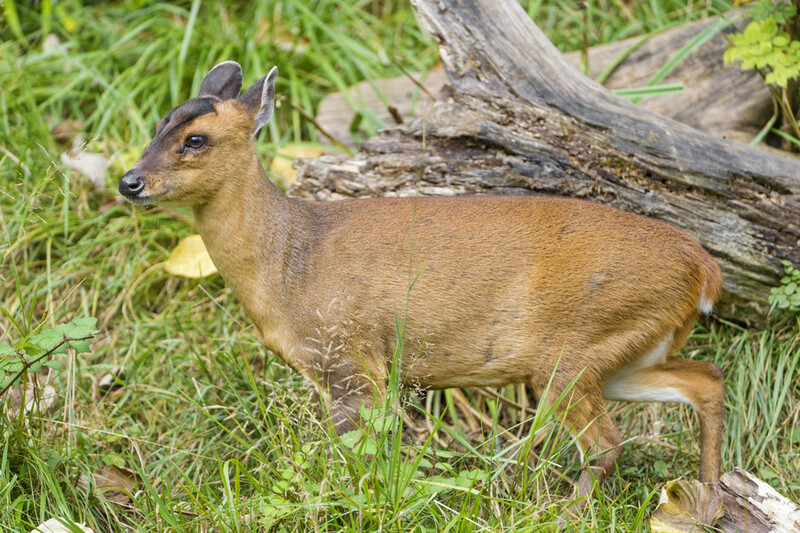 One small popular pet deer species is the muntjac. 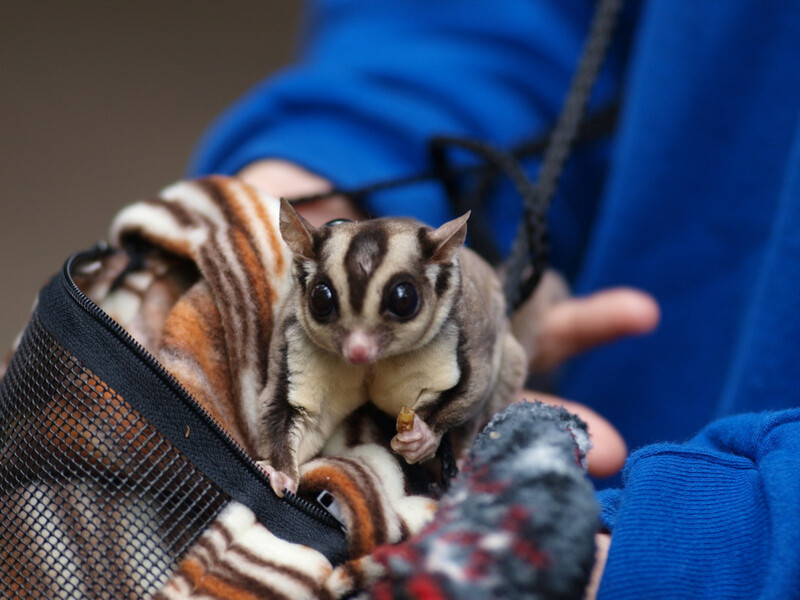 While exotic pet circles consider New York to be a "ban state," many non-native animals like wallabies, kinkajous, and sloths are most likely legal because they are not a member of the families that are prohibited: ursidae (bears), felidae (wild cats), canidae (wild canines), and primates. 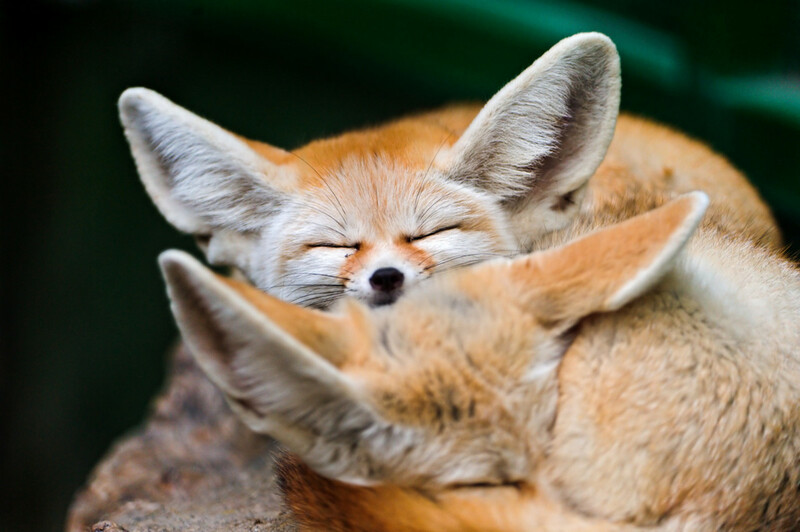 Fennec foxes are the only non-domesticated member of canidae because owners of the tiny foxes lobbied for them and brought them to meet legislators while they conceptualized the bill. This proves that common sense can enter the brains of elected officials when looking at the harmless animal in the flesh. If you want to keep a fennec fox or domesticated skunk without a USDA license in North Carolina, you're out of luck. The tiny animals are considered rabies vectors (despite these pets never having been found with rabies), but you can have a lion, tiger, bear, and numerous other species as long as you live in a county that doesn't prohibit it. 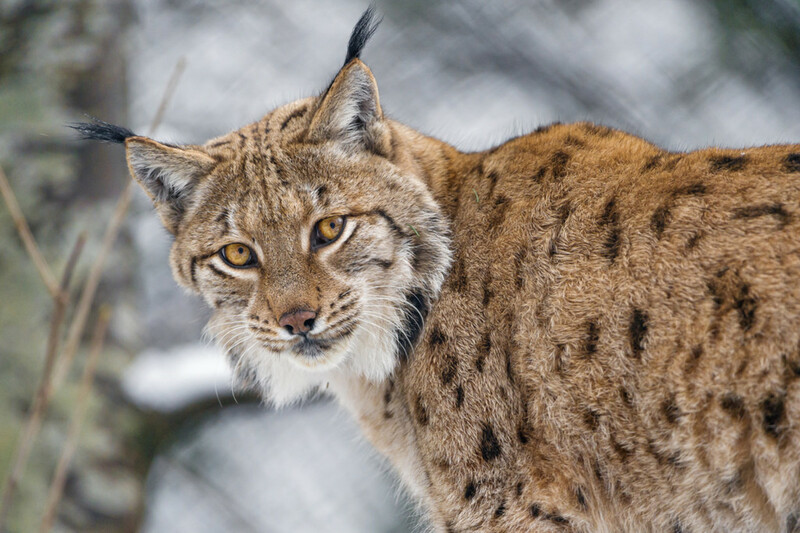 Russian lynx, along with emu, ostrich, ranch foxes, ferrets, and others, are considered to be domesticated and "alternative livestock." They require no license and the owner only needs to comply with health requirements such as being screened for certain diseases by a vet. After an unstable man (not Federer, the man mentioned below) freed several exotic animals, Ohio went from an extremely lenient exotic-pet state to much more restrictive. Federer, a man who owned a bobcat, argued that his bobcat was literally a housecoat in Federer vs. The Ohio Department of Natural Resources, Division of Wildlife. A loophole currently exempts bobcats from the ban on other felidae species and lemurs are still legal among primates. It's likely that many more exotic animals, possibly even large animals like bears, are legal in Oklahoma, which is the foe of animal rights organizations who want more regulations (i.e. bans) for exotic animals. However Oklahoma's admin code exempts civets, kangaroos, primates, and coatimundis (a South African raccoon-esque mammal) from all permit and license requirements. This state used to be somewhat exotic friendly, but then they stopped issuing permits to pet owners. They categorize exotic animals, and you need to call to find out what the law is. 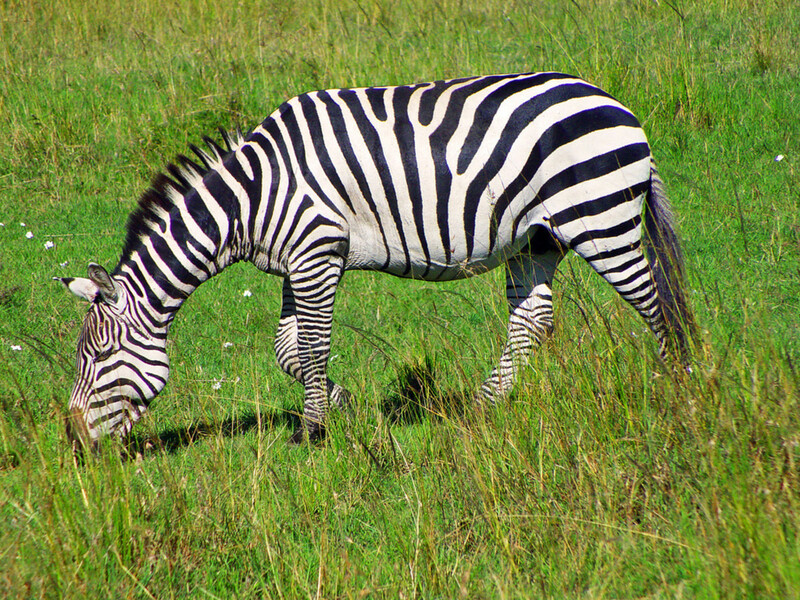 But all equidae, including zebras, are legal and just needs a Certificate of Veterinary Inspection when imported. 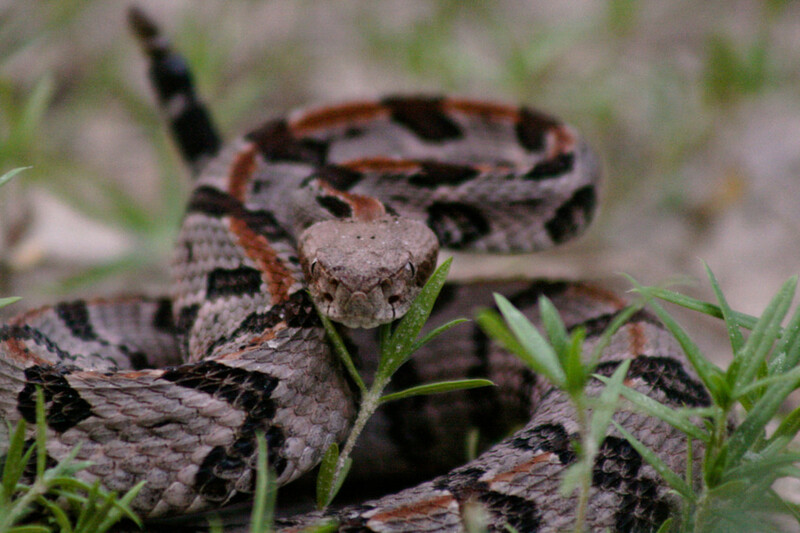 If you obtain an annual permit, you can keep timber rattlesnakes and northern copperheads captured from the wild. The snakes must also be at least 42 inches in length, having 21 or more subcaudal scales. Burmese pythons are illegal in many states due to their size (15-20 feet) but are not listed as being illegal here (3.17/4/b/2/AA). In fact, Rhode Island law specifically allows for most species of boas and pythons. 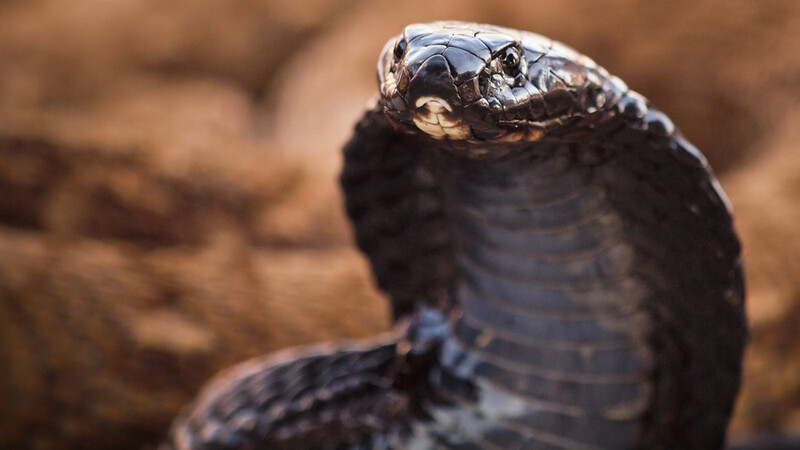 South Carolina is one of the nation’s only states that allows the sale and purchase of venomous snakes at reptile shows. With a permit, you can possess or import any non-domestic mammal or any hybrids thereof of the following orders: carnivora, exotic felidae, canidae, ursidae (bears) mustelidae, and hyaenidae, and various hoofed animals. Some species in Tennessee are illegal to possess, such as bats, skunks, and owls. Others, like flying squirrels, bobcats, native mice, and native chipmunks require a TWRA permit. 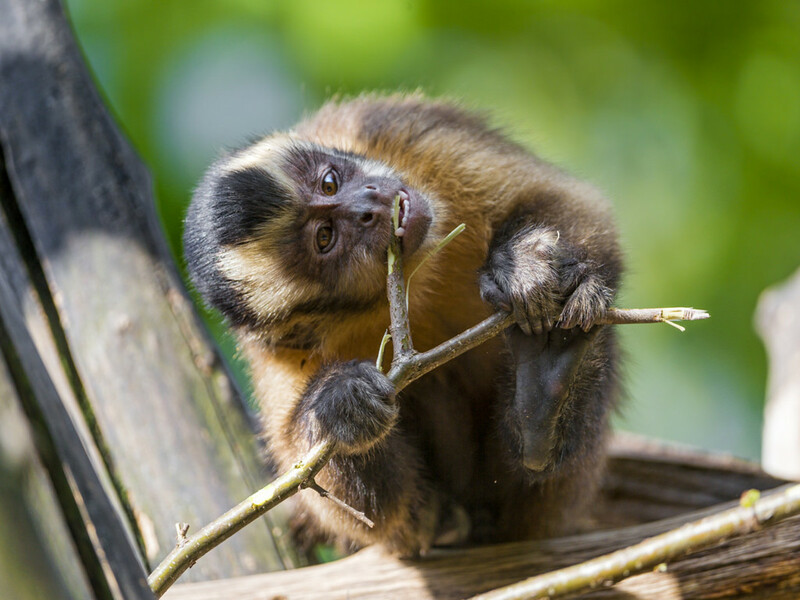 The species that do not require a permit surprisingly include capuchin monkeys, caimans, giraffes, and sea otters. Potential owners of "dangerous wild animals" (which includes bears, big cats, and great apes) need to obtain a certificate of registration for that animal issued by an animal registration agency (Texas Health and Safety Code 822.101). Many other rules apply. There are many animals in Texas that are perfectly legal, however, and they include capybaras, lemurs, genets, and small wild felids. 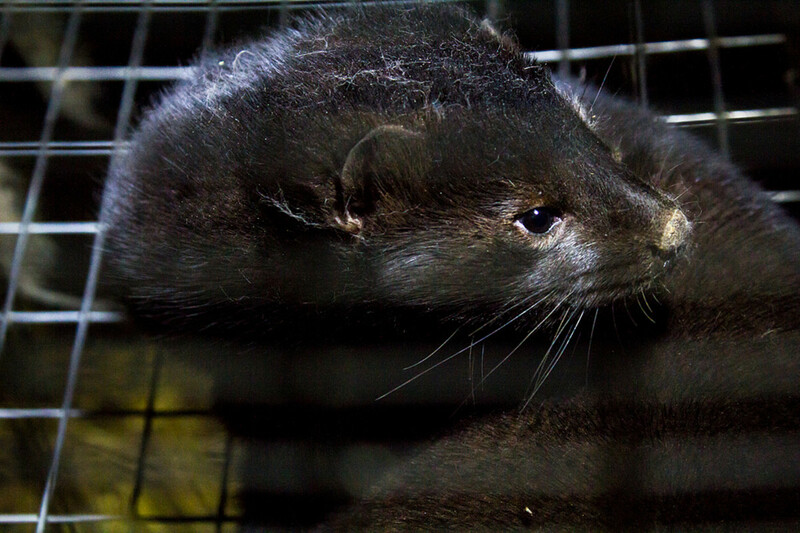 Ranch-raised American mink (Neovison vision) are allowed to be owned, along with other species. Agoutis are a relatively large South American rodent. 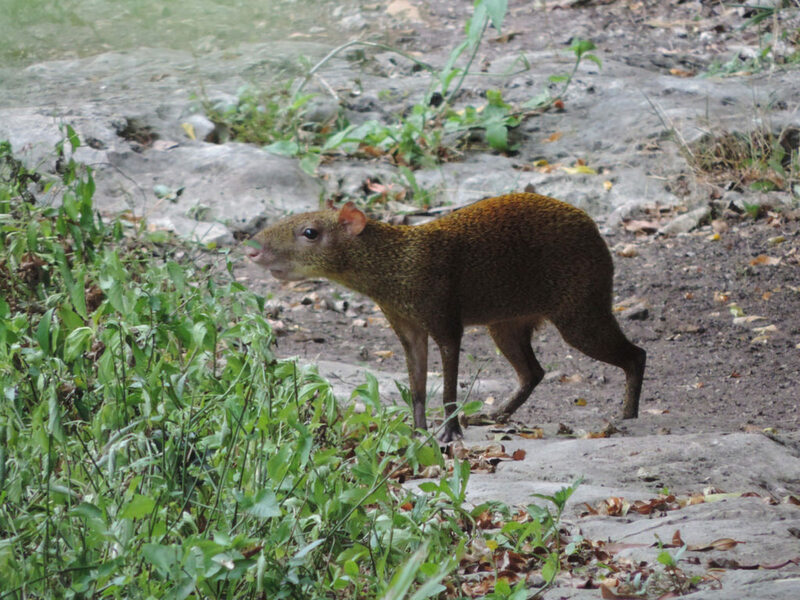 They're related to guinea pigs and look quite similar, but agoutis have stretched-looking legs. All species are on Vermont's unrestricted species list. 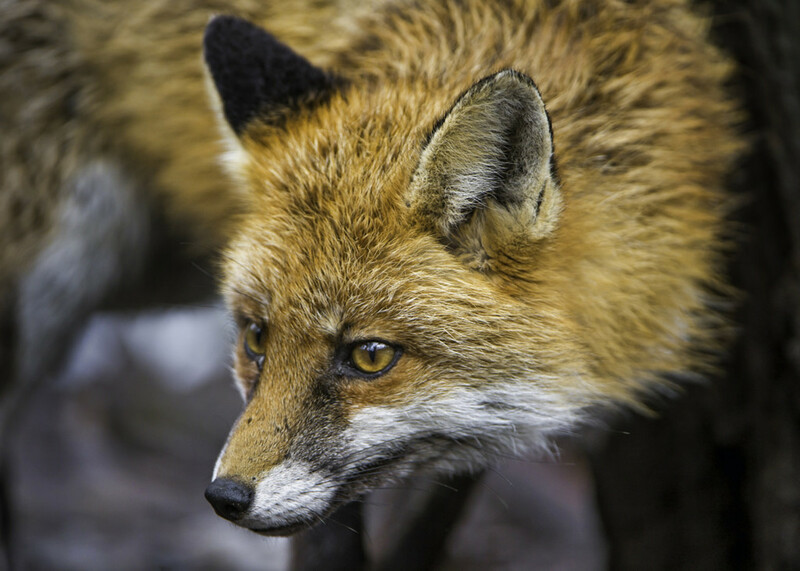 Virginia does not allow any foxes other than those that have fur patterns not found in the wild. This means pet foxes cannot be red, even if they are domesticated. The fur is how the animal is distinguished from a non-fur farm animal. *UPDATE: Virginia banned all foxes in 2017. West Virginia recently enacted regulations for "dangerous wild animals" that allow people to apply for permits to keep them. Animals that aren't the following can be kept as pets: coyotes, minks, weasels, muskrats, beavers, opossums, polecats, otters, red and gray foxes, skunks, bobcat, fishers, and raccoons. 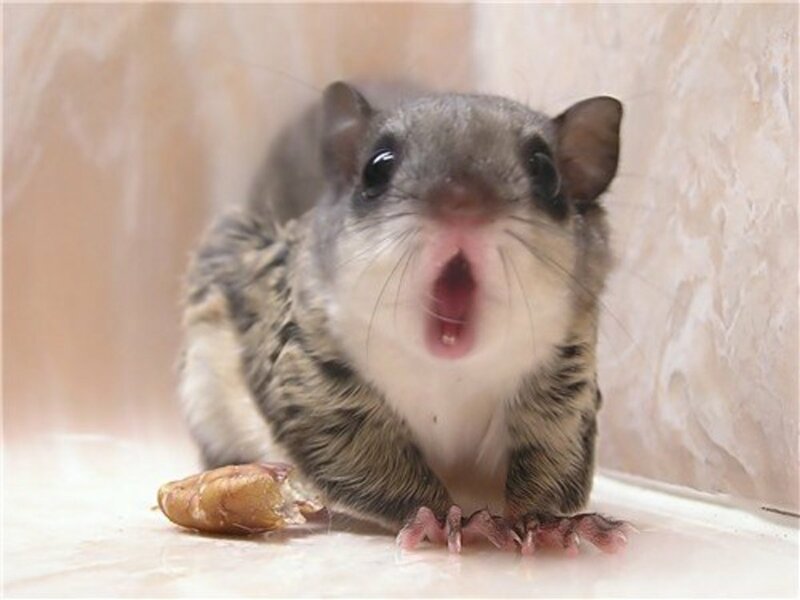 Wisconsin specifically names chipmunks, pocket gophers, mice, moles, opossums, porcupines, rats, voles, ground squirrels, red squirrels, and weasels as legal to possess without a license. 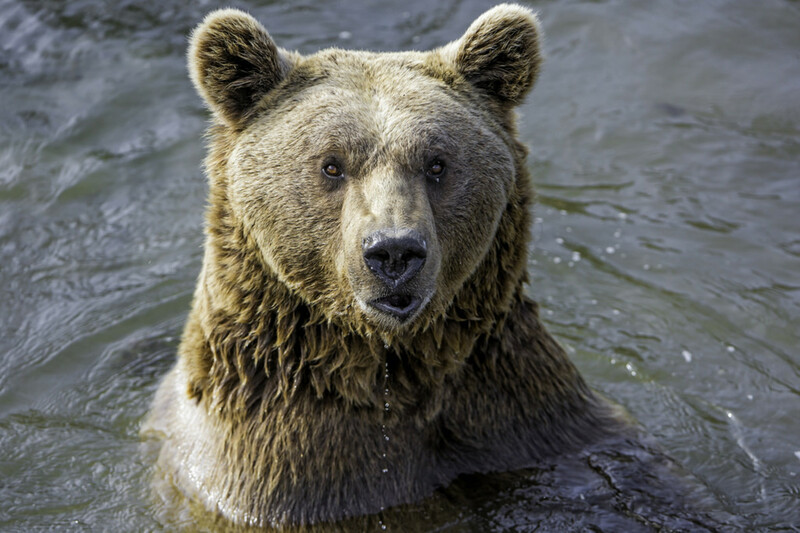 All bears appear to be legal according to Wyoming's exotic animal code except grizzly and black bears. Mountain lions are also named as legal while other big cats are not. Are parrots legal to own in California? Can I own a Geoffrey's cat in Pennsylvania? 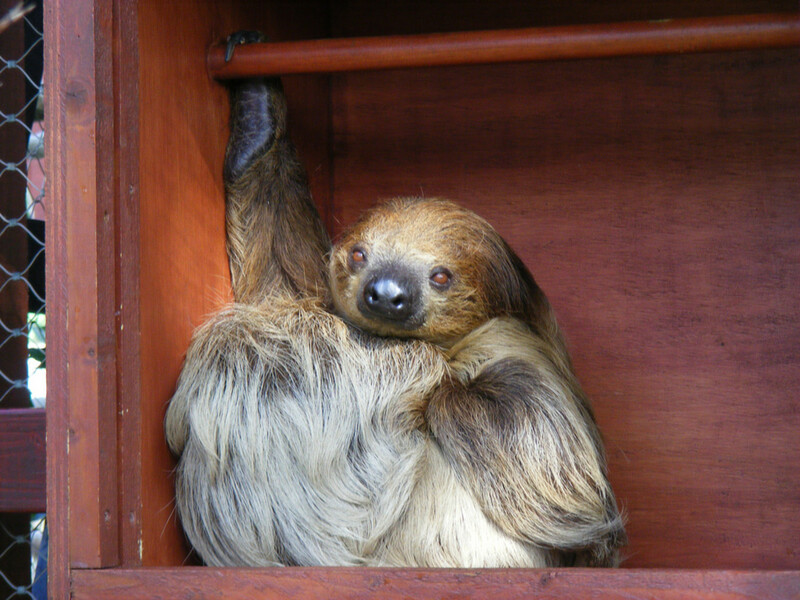 Can you own a sloth as a pet in North Carolina? Yes, in a county with no bans. 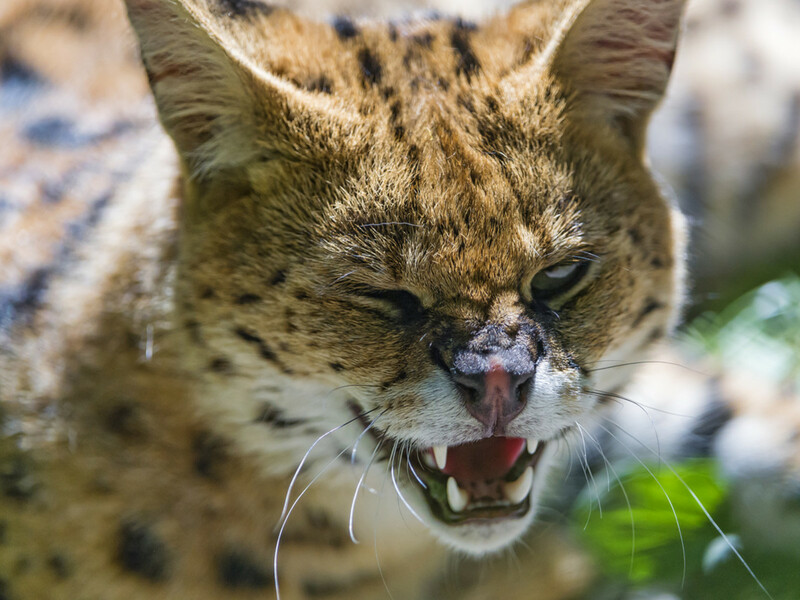 Can I own a serval in Florida? You need a Class 2 permit. In what states can you own a regular squirrel? Where is a ball python illegal? Ball pythons are illegal in Hawaii. Can I own a peacock in Virginia? Yes. Peacocks are legal in all fifty states. Can I own an owl or wolf in New York state? No wolves. The only owls you can own are non-native owls, unless you train as a falconer. Can you own a Koala Bear in Michigan? No one has a Koala except about two zoos in the U.S.
Is the family Viverridae banned in NY state? I don't think so. I had a genet there for a few years. Can you own a koala as a pet in North Dakota? No one can own a koala anywhere. 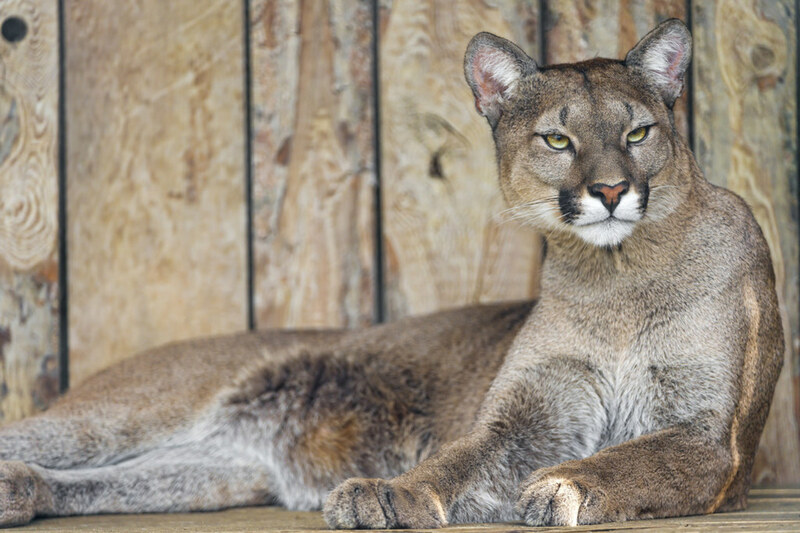 Can you own a cougar in California? No, all exotic carnivores are illegal in California, as well as most mammals in general. Are kinkajous legal in Texas? Can I own an otter in Arizona? can you on an owl in North Carolina? Yes, if it is non-native. Can you have a lemur in Washington? Can I own a coati in PA? Not really, no. Most mammals require permits, and they are nearly impossible to get. Can you own an otter in New York? No. 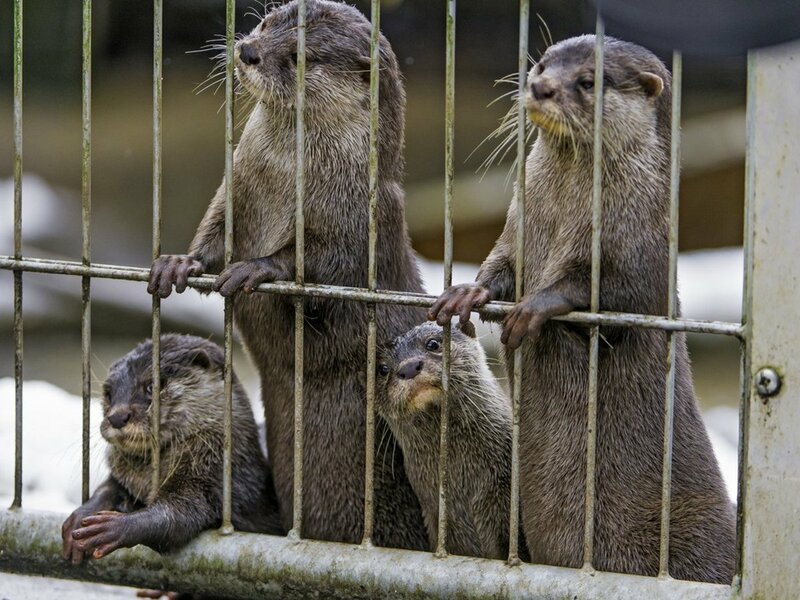 Otters are illegal to possess in New York under their fur-bearing laws as far as I know. Can I own a red-billed hornbill in Indiana? Can you own a prairie dog in California? Can you own an otter in North Carolina? Can you own a toucan in Georgia? Can I own a red Carnivora in Arizona? Owning a Carnivora is illegal in Arizona. Can you have a pet otter in West Virginia? Can you own a pig as a pet in Michigan? Yes. Check your local zoning regulations. Can I own a toucan in Wyoming? Can I own a koala? No one can own koalas anywhere. Can I own a ringtail cat in Arizona? Does Pennsylvania allow you to own a Prevost squirrel? Or any type of squirrel? Not really. Their permits are hard to get. Can I own a green anaconda or Burmese python in New York state? Can I own a kangaroo in Florida? I want a Serval and I live in New Mexico. Is there a permit I can obtain? Exotic cats are banned in New Mexico. Can I own a Penguin in Illinois? Can I own a Tanuki in Michigan? Can you own a bat in New Hampshire? Can you own a mink in Virginia? Can I own an alligator in New Hampshire? Can you own a Capybara in Maine? Can you have a sloth in new hamshire? No, the most exotic animal allowed is a tenrec. Most non-controlled species are traditional pets and birds. Can I own a pine marten in Florida? Can I own a Lemur in the state of Georgia? I'm seeing different sources saying it is and others saying it is not. 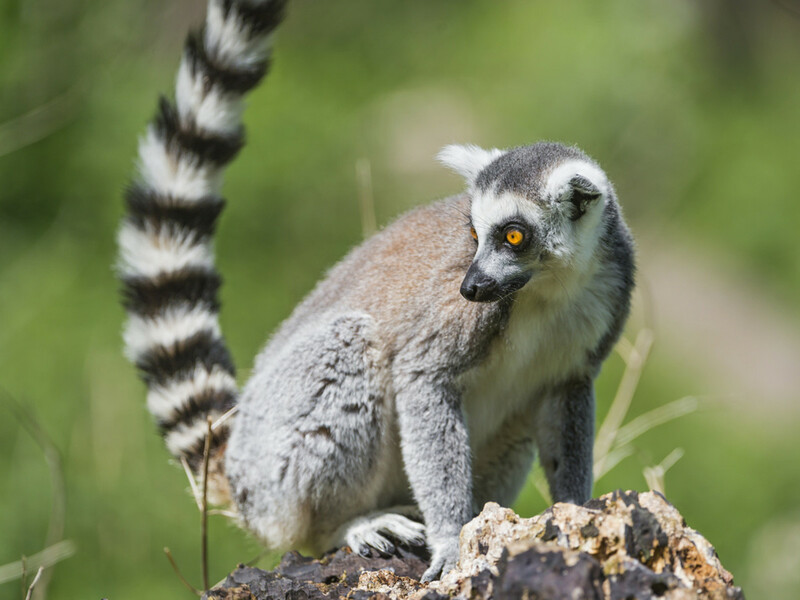 Can you own a lemur in Georgia? Can I own an otter in Utah? If you can get a Certificate of Registration, then yes. But I am not sure if they give them to pet owners. Are Exotic Pets Legal in Pennsylvania? 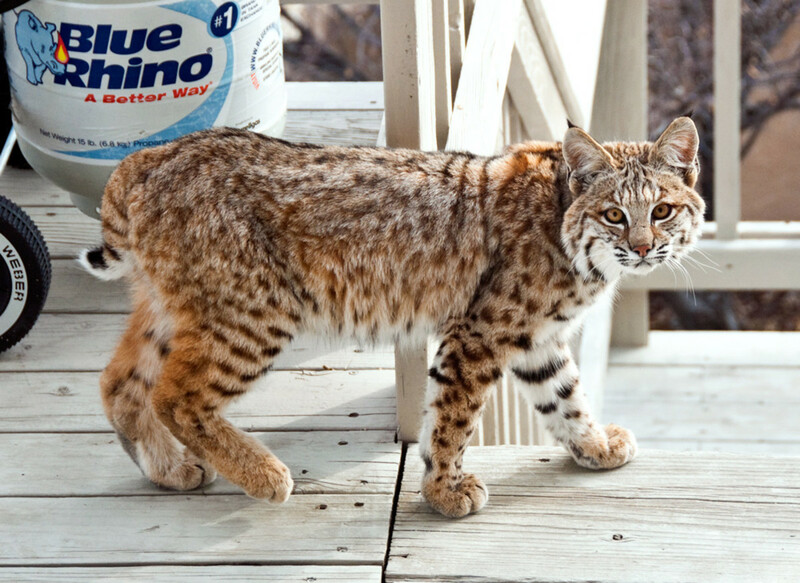 Is the Ohio man's bobcat "literally a housecoat", tho? Can I own an otter or fox in Louisiana? Can you own a fennec fox in Illionois? Can you own a red fox in New York? can you own a prarie dog or sugar glider in NC? can I have a pet capybara in New Jersey? Is it possible to own a pet racoon in Virginia? Is it legal to have Capybara in Oregon? Can I have a pet crow in Illinois? Sequoia Yes but you need a permit. Can you get an Asian small clawed otter in the state of Georgia as a pet? You should correct your post for Arkansas. You can buy a fox from a USDA breeder as well as import from out of state. Though there are 19 states that are prohibited from importing. Can I get the number or web address of the guy who breeds bobcats, that is gonna be AWESOME! False. 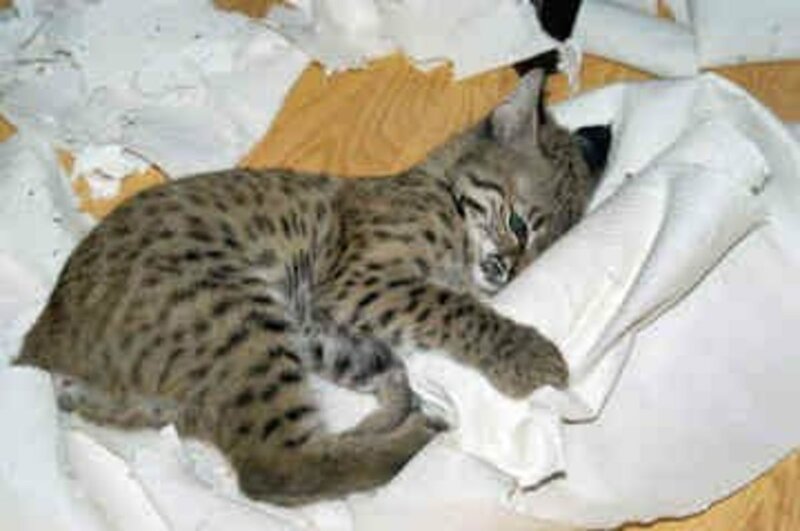 You may own a bobcat in Tennessee. I know a reputable USDA breeder who can legally sell them. 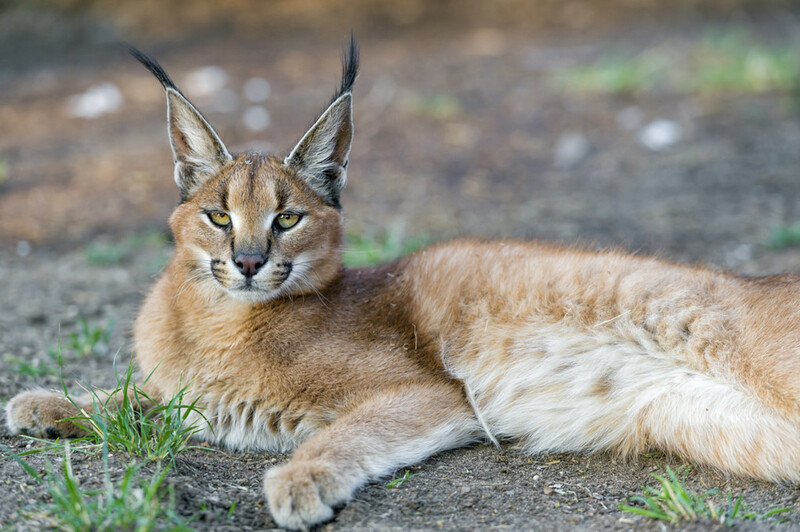 In What states are you allowed to own a caracal?? can you have a capybara in iowa? where is it legal to own a wallaby? Is it legal in New Jersey? What can you own in Durham? can you own a crab fox in california north? What Country or State can allow Fox, Otter, and Deer as exotic pets? are lepered geckos legal in south carolina ? I lived in Arizona and wolf hybrids are NOT allowed. If one is found to be owned it is removed from the owner(s) and is usually destroyed. They would be legal wherever primates are, however you won't find one. this post didn't tell me about lemurs in illinois, can you tell me? I've been reading and researching and I can't find anything that says wallaby are banned in iowa. Would you be able to share your source? can you have a pet kangaroo in washington? There aren't any allowed in Alabama?? What the heck?!?!?! 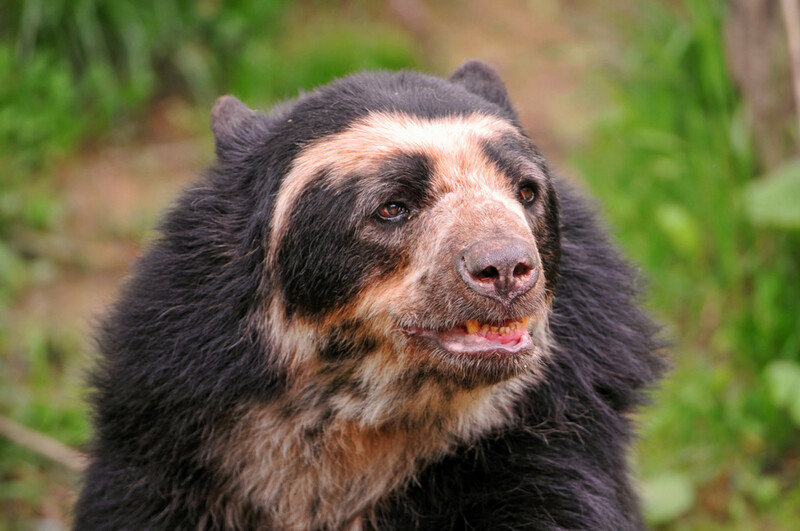 Sun bears and sloth bears. Wyoming... it says bears are legal, but not grizzly or black bears. So what's left? Polar bears?? John I don't see why not. We're moving to NC by the coast near Wilmington. I've heard that most counties near the coast are not exotic friendly. In my county they require permits. The next few animals I'm looking to get are rodents which are exempt. Land of the free, right? It's so depressing, you wonder what was going through the heads of the people passing these laws (we know the ones who PUSHED for them). I want to keep camels, parrots, snakes like Boa constrictor (no, not all of those are given, Hawaii for example bans many parrots and all snakes, and the UK considers camels a "dangerous wild animal"), large lizards, possibly Arctic fox, a bobcat or Eurasian lynx, wolves and wolfdogs, aardwolf (striped hyena is my favorite but not so practical and likely), and birds of prey. My best bet is North Carolina (me and fiancé want to live by the coast) or Ireland, but at least in the case of NC and other US states, anti-animal activists are constantly trying to push for more bans, banning ALL animals other than cats and dogs. And those, they'll get through mandatory spay and neuter laws and monstrous regulations to be able to breed. If we let them, I foresee a future in my lifetime where virtually all pets are gone or heavily regulated in American homes. I had a prevost squirrel, I don't about native squirrels, but wolfdogs are definitely illegal. "Among the provisions include a prohibition against interference with wildlife, restriction on the possession and importation of certain wildlife such as wolves, wolfdogs, coyotes, coydogs, foxes, skunks, and venomous reptiles, and laws that allows individuals to take destructive wildlife. No person shall knowingly possess, harbor, sell, barter, transfer, exchange or import any wild animal for use as a pet in New York state, except that any person who possessed a wild animal for use as a pet at the time that this section went effect may retain possession of such animal for the remainder of its life." I see nothing wrong with the term wolf hybrids. It was never meant to be a technical term describing two genetically distinct species, it is informal and describes the significant differences between the domesticated dog and gray wolf, the latter is not even closely related to the wolf-like canid dogs have descended from. And you should brush up on your reading comprehension because saying something is dangerous, and saying something is less dangerous is not the same thing. Regular dogs also have a degree of danger. More than 4.5 million people are bitten by dogs each year regardless if you meet them. This article is over flowing with dangerous misinformation :( in a really weird way. I was shocked at how accurate some things were that people usually get all wrong , and then how fast nonsense I've never heard followed. For instance the one about Wolfdogs , I'm so shocked an article full of so much misinformation didnt think they we're just called "wolf hybirds". Then they all of the sudden said that only true high contents are indistinguishable from a pure wolf and even worse....they called them dangerous. Lions are dangerous , bears are dangerous, but no one who has done even a small amount amount of research... or actually met a wolf or wolfdog would label a wolf or wolfdog "dangerous". That's just one example of many false statements in this article. Benjamin: Assume the answer is no until you find out it is with 100% certainty. What species of exotic animals are allowed in California? Are lemurs allowed in Minnesota??? I myself own a Bison in the state of Massachusetts. His name is Ronald and I have taught him to chase intruders off my property. I have personally never had a problem with Ronald and I am in the process of obtaining several more. 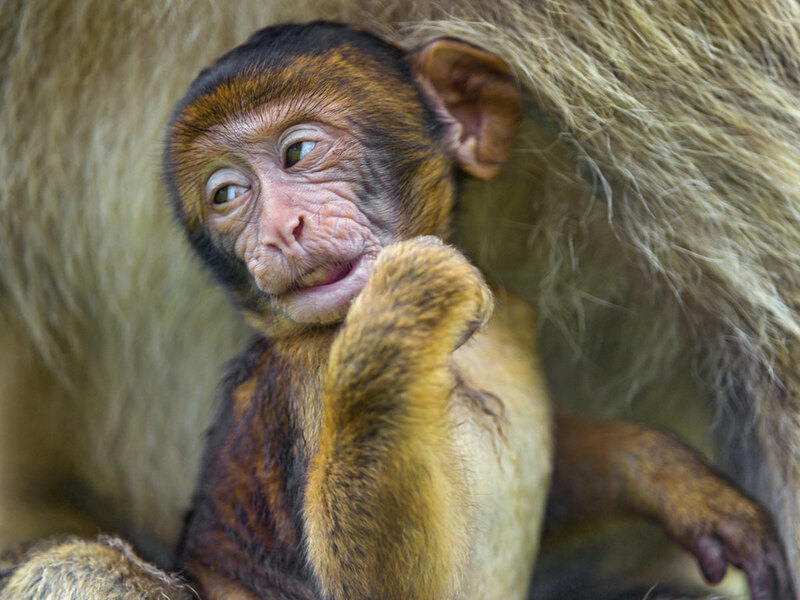 @AP: If all animals were easy to breed and keep and legal to import and keep in U.S.A. my choices for pets would include: mantled guereza, slow loris, owl monkey, squirrel monkey, cotton-top (or golden-handed) tamarin, ring-tailed and red-ruffed lemurs,streaked tenrec,von der deckens hornbill,wallaby, hercules beetle, frill-necked lizard, Madagascar day gecko,blue jay, eurasian eagle owl, yak, minature-pig, reindeer,emu, gray kangaroo,red-kneed tarantula and so on... I might as well make my own zoo. My list would also include some animals that Ms. Smith and you have already mentioned such as bush-babie, meerkat,ring-tailed cat, spring-hare and skunk. P.S. Come to think of it, I have too many animals on my list. I will blame the strict laws of Turkey that kept me away from ferrets and the animal encyclopedias I have read for making me turn into a crazy potential animal hoarder. AP: I'm in contact with a breeder that has imported 3 pairs. Keep your fingers crossed that they have babies. If they don't breed and he sells adults, I'll be all for that as well. ManNewt- I'll think about that. Can you even get a springhaas? I asked about it at one point, and was told that even non-AZA zoos haven't been able to get new ones. Because looks like they were easy to import and hard to breed, so nobody figured out how to breed them (and a lot of people who had them only had one anyways) before the CDC put a blanket ban on African rodents, and there are basically none (aside from a few aged imports and a few that AZA zoos sold to other zoos under the AZA's strict "it's better to kill the offspring than sell them as pets" policy) outside of AZA zoos. Aside from that, I think all of the animals you mentioned can be kept in the four states I mentioned. Some require permits, but I don't *think* that those permits are dependent on getting USDA exhibitor licenses. It's interesting that most people I've met who are into exotic animals (or at least the people who are into responsibly caring for exotic animals) aren't very social. I imagine that it has to do with liking animals better than people and wanting to invest time in them. I'm not social either, but happen to love lecturing people about things that interest me. 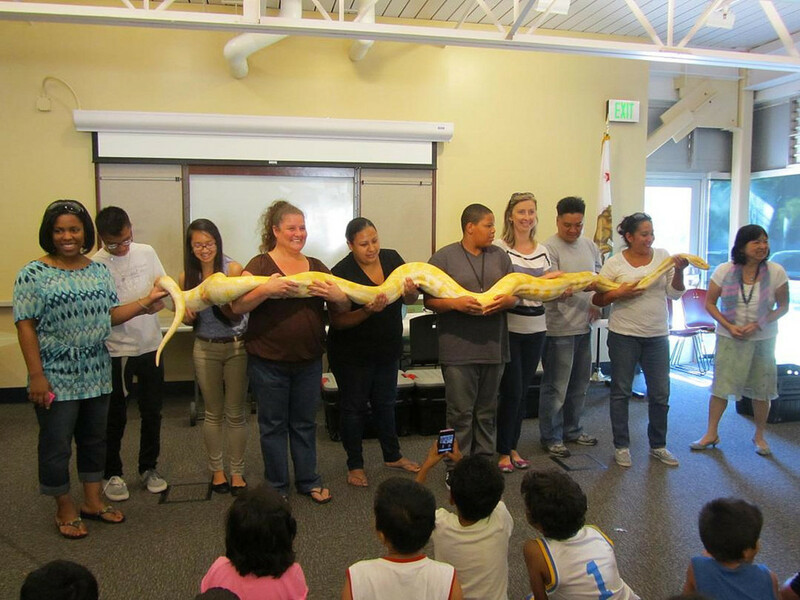 Taking exotic animals to libraries and schools and telling them about their life in the wild, evolutionary history, and care, and then telling my listeners that that anyone who says they don't make good pets is lying--that sounds like a lot of fun to me. However you certainly need animals that handle travel and crowds of noisy children for that. @ManNewt: I'm curious about your list. Incidentally, that's not my full list; just the list of animals that are commonly restricted. My full list approaches private zoo territory, though most of the animals on it are aviary birds, making them relatively easy to look after. What a great taste of animals Ms. Smith. I would also want to post my list of animals I prefer keeping, but since no one is asking for it I don't think that it would be necessary telling. P.S. : You can hire me if you want, I need a reason to get out of Turkey, and I can be hired legally since I already have a U.S. citizenship. You can "pay" me with marshmallow creme, root beer, or sweet potatoes. Thank you for the article. Just wanted to mention a typo: the Maine section says that it is the northernmost state on the mainland, but that's incorrect. Out of the "Lower 48" states, the northernmost state is Minnesota (see Wikipedia articles "Angle Inlet, Minnesota" and "Northwest angle"). And then of course Alaska is the most northerly of all. West Virginia just repealed much of its recent anti-exotic pet law, so now many more species are capable of being owned legally there. 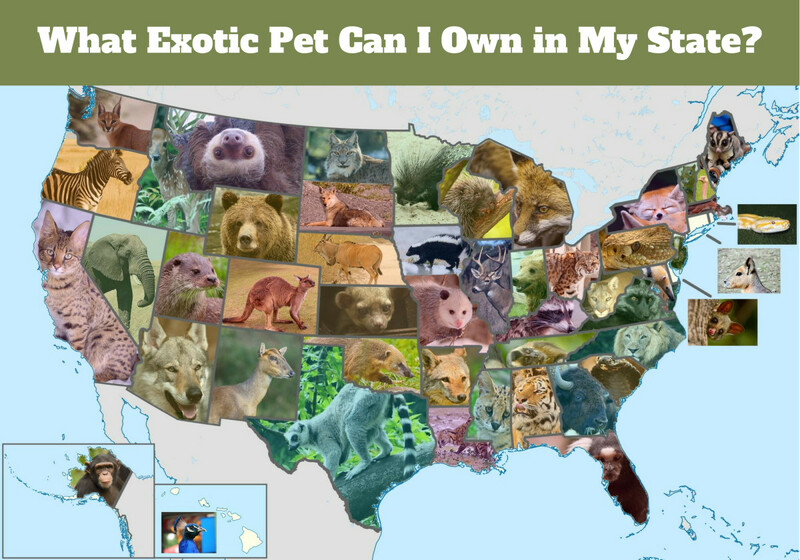 I wonder what cool pets could be kept in those 6 U.S. jurisdictions. I do know that American Samoa has banned all reptiles due to its fragile ecosystem (much like Hawaii). The 6 places listed above are jurisdictions in the United States that most people don't think about. Palm civet, armadillo, sloth, fennec fox and/or bat-eared fox, bush baby, prehensile-tailed porcupine, springhare, crowned pigeon, pied crow, skunk (maybe), prevost squirrel (on the way). I think that's it. I want to get USDA, but having to commit to doing shows is nothing small to me. I'm not very social. I need someone who'll present, and a place who will want the service. Animals will need to be extensively conditioned to accept being viewed by strangers, and that's if they aren't taken out of the cage. My spotted genet is heavily stressed leaving my house. I'm curious, what is your list of animals you want? 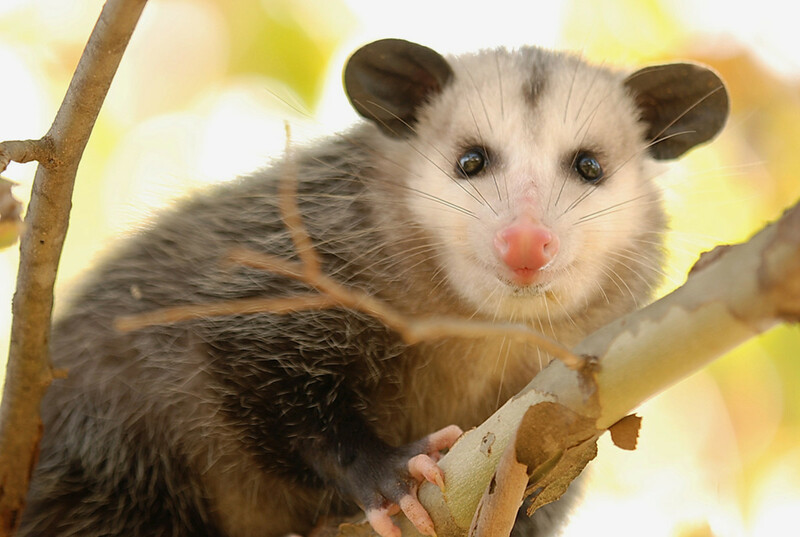 My list includes a raccoon or a ringtail cat (restricted in most states for being a carnivore and/or a native furbearing species), an opossum (restricted in most states for being native furbearers), a handful of small primates (restricted in most states due to being primates), an armadillo (often restricted due to leprosy concerns), a dwarf caiman (restricted in most states for being a member of the crocodiles family), and a crested coua (restricted in many states because it's a member of the cuckoo family). Nonetheless, there are several states where it appears I could hypothetically have all the animals I want (except animals like meerkats and native birds which are banned under federal law). These include Arkansas, Nebraska, Delaware, and Florida. Florida requires permits for most animals I'd like to keep but is very liberal about granting them. I think I could also have all of the animals I'd like to keep in the United Kingdom (included meerkats and US-native birds, assuming they're available there), though a permit might be required for some of them. Technically, the reason that those animals are legal is because they're considered "domesticated animals." And you're right that it is the influence of farmers which keeps them legal. However if you want to keep an emu or a bison as a pet in MA, it's totally legal. The problem isn't that most state legislatures hate exotic pets. Some of them do, particularly the ones funded by animal rights groups. The problem with most legislatures is that they don't see any UPSIDE to keeping exotic animals and don't understand why we can't get a cat or a dog like a normal person. Therefore, ANY downside to exotic pets, no matter how slight, is enough to ban them. If all that's required to keep your animals is a USDA exhibitor's license, I don't think that's much of a hurdle. Anyone can get and keep one by doing a few free shows a year and paying a small yearly fee. I think the big question for me would be whether the state will let me keep them with a USDA license if you're open about keeping them as pets. Most states that grant licenses with USDA permits explicitly state that licenses may not be granted for the purpose of keeping an animal as a pet. I know I don't want to be one of those people who helps the animal rights agenda by parroting the line that the animals I'm obviously keeping as pets should not be pets. It's depressing. There are no states that I can be free to get all the animals I prefer without getting a USDA license. AP: Yes, those animals are sometimes considered livestock. If you are farming animals for food the state is more accommodating, they just hate pets. Nevermind! I'll change the picture later. Peace. You might want to change your raccoon picture to be an actual raccoon and not a raccoon dog. While Massachusetts is one of the most restrictive states, it actually has a pretty schizophrenic approach to exotic animals. Prairie dogs, hornbills, pied crows, and fennec foxes are all illegal, but bison, ostriches, emus, and rheas are legal without a permit. So much restrictions... I lost my faith from the "land of the free and the home of the brave". Rochelle Frank: Thanks, it took far longer than I expected but I learned a lot from it. aethelthryth: Thank you, wallabies can make great pets for people with the right fenced in yard. I wish I were in a situation where I could get one. I also want a muntjac deer, but they aren't legal where I'll be moving. I had no idea that such a huge variety of animals could be kept as pets in certain places. You did an amazing amount of work in putting this together.